It made no reference to the condition of her father, Sergei. 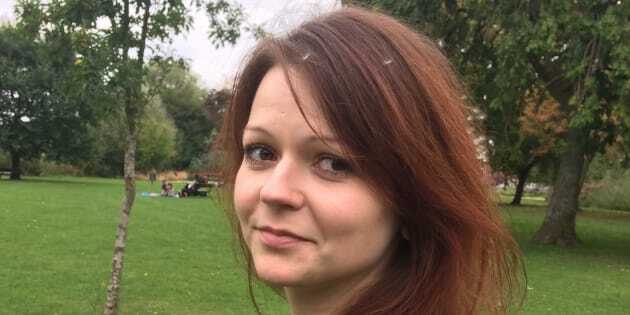 Yulia Skripal, the daughter of a former spy poisoned in Britain, has said "my strength is growing daily" and thanked the people of Salisbury who "came to my aid." In a statement issued through the Met Police, the 33-year-old also asked for her privacy to be respected "during the period of my convalescence." The statement reads: "I woke up over a week ago now and am glad to say my strength is growing daily. I am grateful for the interest in me and for the many messages of goodwill that I have received. The statement came shortly after Russian state TV broadcast what was alleged to be a call between Yulia, 33, and her cousin. Viktoria Skripal said they had spoken by telephone and a recording of the alleged call has been given to the Rossiya-1 TV channel. Its authenticity has not been verified. A transcript of the alleged call has been published by the BBC. In it, the woman claiming to be Yulia said her father Sergei "is all right." "Everyone is recovering, everyone survived... No irreparable harm was done. That's all, I will soon be discharged from the hospital," she is alleged to have said. On Wednesday evening, Viktoria Skripal told state TV that she had applied for a British visa in order to visit the hospital, but that she was unsure whether British authorities would allow her to see her cousin or her uncle Sergei, who were poisoned on March 4 and remain in hospital. She told the Rossiya-1 60 Minutes TV show, which has frequently cast the nerve agent attack as part of an elaborate British plot to smear Russia: "I currently have one objective: to fly there and take away Yulia, at least Yulia." She said the situation is much more complicated for Sergei Skripal, 66. She said she was in regular contact with Russia's ambassador to London, Alexander Yakovenko, and that he had helped her obtain a Russian passport to travel. At a press conference on Thursday, the Russian ambassador to the UK quoted the results of a Twitter poll as evidence that "most of the British public" believe the results of investigations will be covered up. Viktoria Skripa previously said there was a slim chance the pair would survive the attack, saying the prognosis "really isn't good." "Out of 99% I have maybe 1% of hope. Whatever it was has given them a very small chance of survival. But they're going to be invalids for the rest of their lives," Viktoria Skripal told the BBC. At the press conference on Thursday the Russian ambassador said Foreign Minister Boris Johnson's claim that Moscow maintains a stockpile of the lethal nerve agent Novichok "likely for assassinations" is "not true... not supported by any evidence... unacceptable."